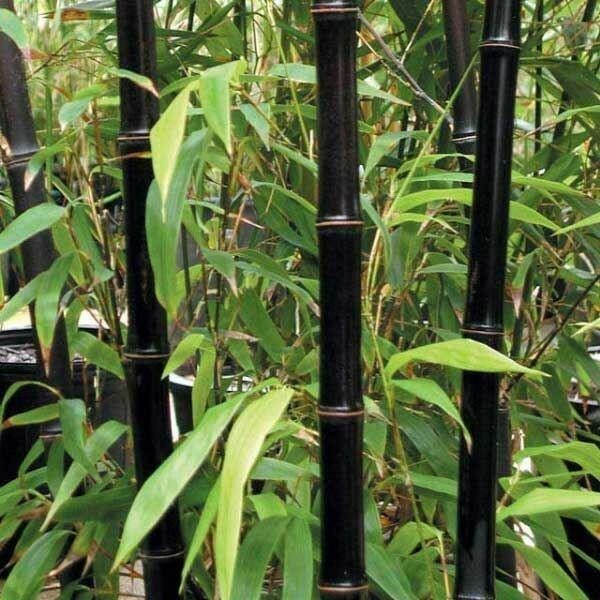 This beautiful and unusual bamboo will make an excellent feature in your garden. Striking, tall arching polished ebony-black mature canes and dark green leaves. The slender, elegant canes look perfect in a any garden setting. Not overly invasive, making it an absolute must have plant. This plant is supplied at approx 180cms (6ft) tall, with thick colourful canes for instant garden interest in approx. 10 litre containers.